The 1952 games were awarded to Oslo in an attempt to show that Norway had recovered from the ravages of the Second World War. 694 athletes representing 30 countries participated in four sports and 22 events. This pretty pair of gold plated spoons are engraved on the back with the Olympics symbol. 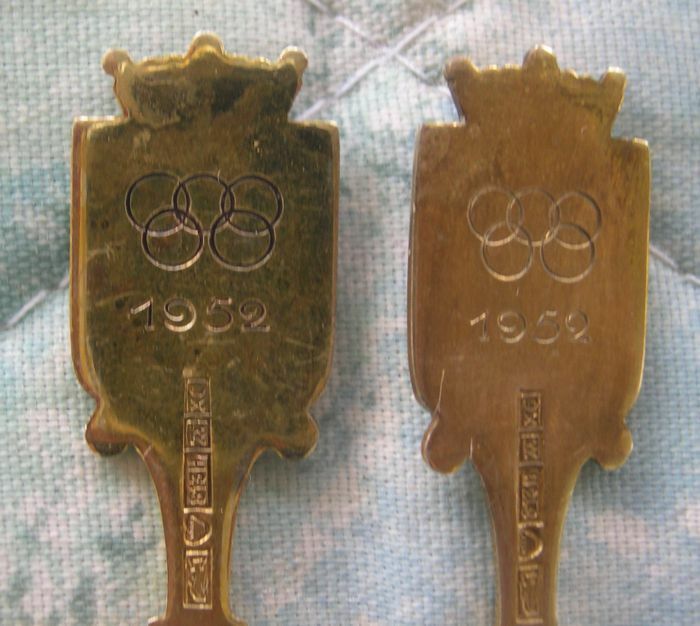 These were originally souvenir spoons and converted to representing the Olympics. Engraved on the back are the five interlocking rings of the Olympics and the date "1952"